The Confederates launch an all-out attack against the remaining Federal units in Kelly Field. Starkweather’s staged withdrawal degenerates into a rout. The rest of Baird’s division runs a gauntlet of fire attempting to move across the field. Many men are captured. 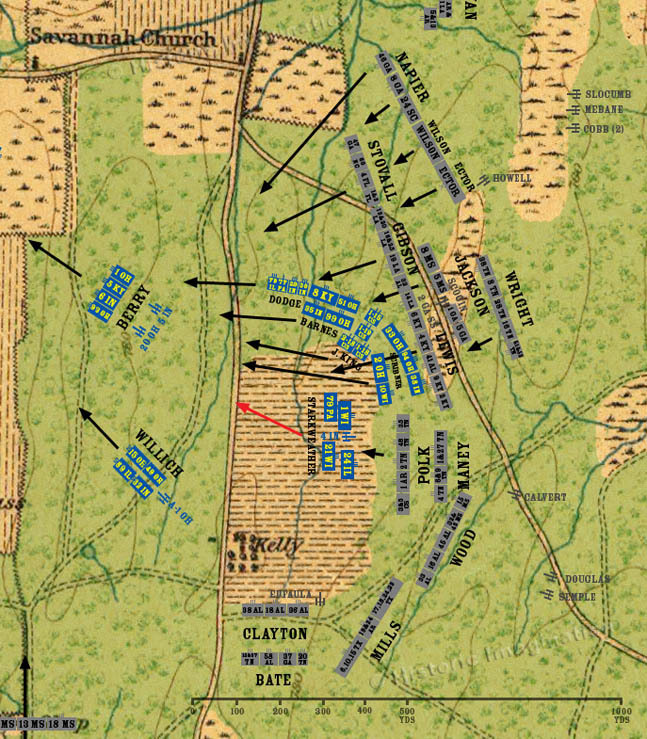 The brigades of Barnes and Dodge do not suffer as many casualties in their escape.